It’s no secret that college students are living on a tight budget. 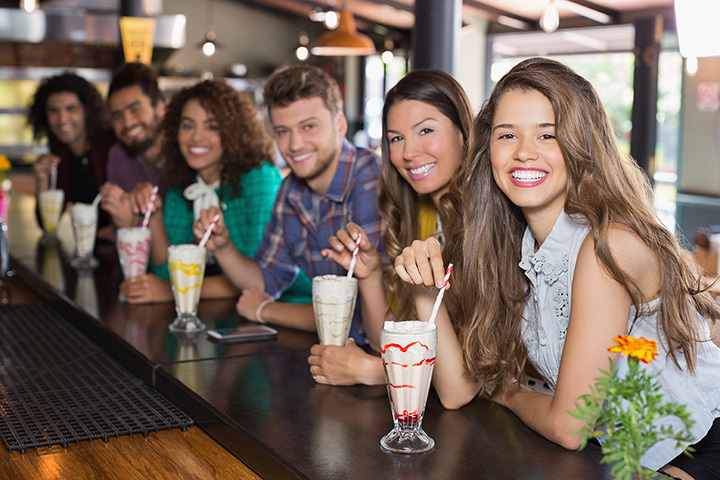 Between needing to snack late at night to wanting to explore all of the cultural attractions your university town has to offer, student discounts make enjoying college easier and more affordable. It’s also a great way to support local businesses and discover hidden gems near your campus. Here are the 10 best student discount offers in Wisconsin! All Wisconsin university students can get a discount on general admission passes at the Milwaukee Art Museum. Be sure to present your valid student ID for $2 off general admission and $30 off a yearly membership. Get acquainted with the arts and utilize your student IDs. Across the state of Wisconsin, you can catch any movie on Thursdays for only $5 at Marcus Theaters. Present your college ID card prior to payment for a discount and a bag of popcorn. That’s not all who can join in on the fun—faculty can present their IDs for the same discount! Located on historic Water Street in Eau Claire is Roy’s Barber Shop. Roy’s is near the University of Wisconsin-Eau Claire campus and offers a discount for college students. Stop in for a crisp cut and save a pretty penny while you’re at it. Roy’s is top notch in customer service and the best in the area. Get a 10 percent discount when you present your University of Wisconsin-Oshkosh TitanCard at Two Brother’s Family Restaurant. This 24-hour operation diner served homemade breakfast, lunch, and dinner. Discover the premier culinary experience of this locally owned and operated restaurant. Everyone can benefit for discounts on groceries. Enjoys a 5 percent discount on groceries when you show your University of Wisconsin-River Falls student card. Be sure to save every penny you can by using your UWRF student discount at Family Fresh Market in River Falls. Get a $4 discount at the Milwaukee Public Museum by showing your student ID. Milwaukee students and Marquette University students can enjoy discounts on day passes and annual memberships. There’s not real age that you have to start adulting. A normal adult pass is $18—save the money while you can! University of Wisconsin-Madison students pay only $10 for a single admission ticket at the Wisconsin Union Theater. This deal is only available to currently enrolled Madison students. Enjoy large discounts on comedy performances, exhibits, and more! Show your TitanCard at the Delta Family Restaurant to receive a 10 percent discount on your bill. This local, family-friendly diner is a cozy hidden gem located right in your backyard. Their extensive menu will leave you full and fueled for your crazy class schedule. University of Milwaukee students get $5 off their ticket at The Rave/Eagles Club. You must show your valid student ID before the day of the event. Attend concerts featuring famous country, rap, DJ, alternative, pop, rock/metal, and international artists. You’ve got to use this discount while you can! Frequent travelers listen up. Present your University of Wisconsin-Madison or Edgewood College students card to the Van Galder Bus Company and receive a $46 round trip ticket to Chicago O’Hare Airport and downtown Chicago. Beloit College students get a round trip ticket for $42. This makes traveling as a student easy and affordable.